Dr. Schaller is the author of seven tick infections books abased in top research, immense study and clinical care. His latest is a 330 page book of basic references on tick infections like Babesia, Bartonella and Lyme. 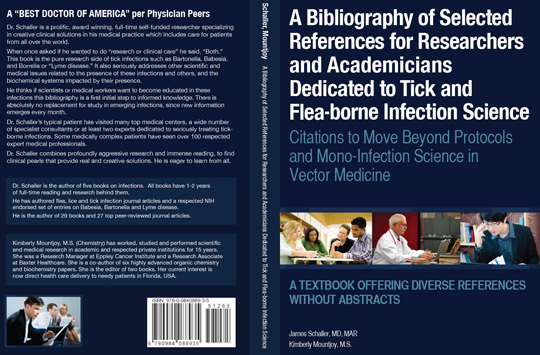 This book is provided here as a free download (PDF): A Bibliography of Selected References for Researchers and Academicians Dedicated to Tick and Flea-borne Infection Science.